Themed Party Pi? ?atas bring excitement and fun to any birthday party! 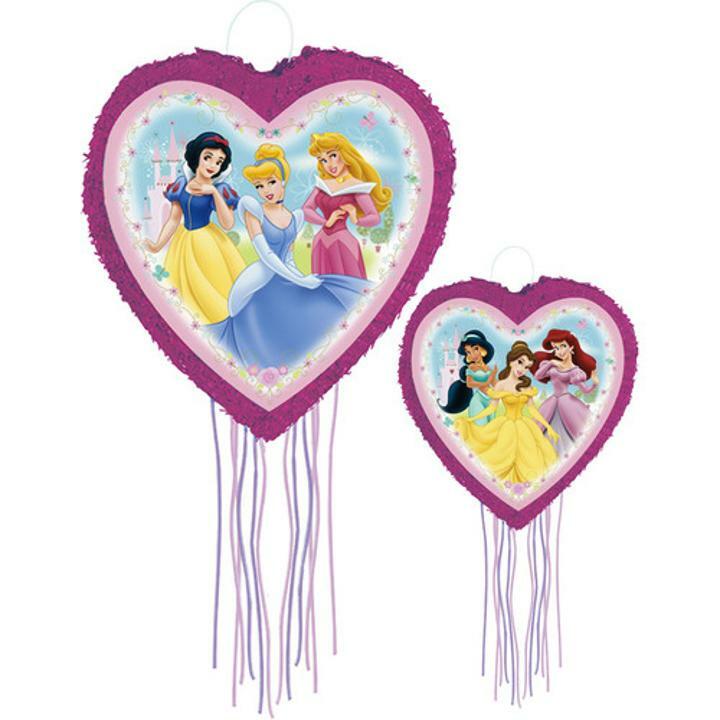 This Disney Princess pinata will top off the Princess themed party with incredible excitement! The pi? ?ata is heart shaped measuring approximately 18 inches, and holds up to 3 lbs. of wrapped candy. L: 18.0 in. W: 18.0 in. H: 2.0 in.